The shirtless 17-year-old, engulfed by a mess of bodies and flailing limbs, jabbed his bare foot at a soccer ball pinned between bamboo stalks. Lanh reached down, grabbed the ball with his hands and booted it upfield with a grin. Players were joining by the minute, kicking off their shoes and socks to run barefoot through the field, a hazardous swath of dirt turned to mud by the rain and pocked with rocks and puddles. 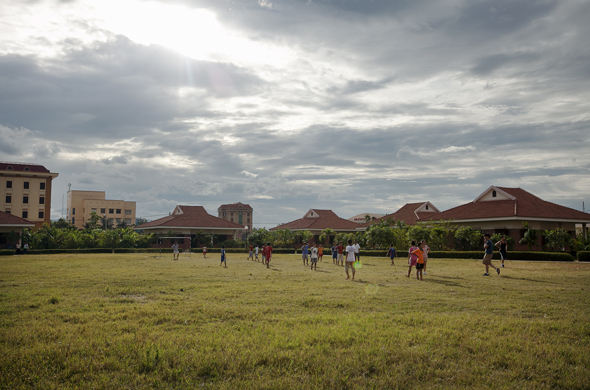 This is the long-awaited rematch between the children of Thiên Bình Orphanage and the students of Medical, Educational Missions and Outreach. The rivalry has racked up numerous wins for the children and zero for the college students. 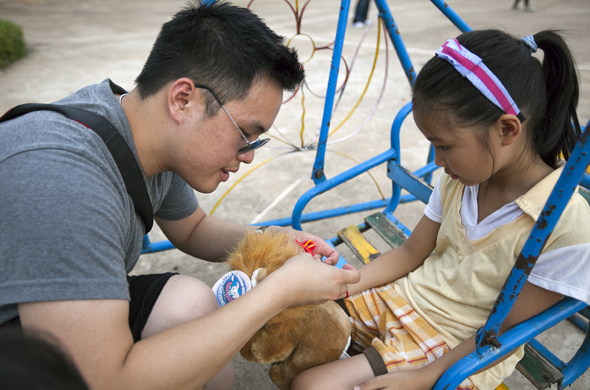 For years, MEMO has supported Thiên Bình’s operations, providing funding for health care, school supplies and clothing. Every year, MEMO students bring toys and chocolates to the children. Perhaps most importantly, MEMO brings soccer. Despite their best efforts to practice and prepare this year, MEMO still didn’t stand a chance. The orphans dominated possession for the majority of the game, running circles around MEMO. When it was finally time for the college students to leave, the score was 6-2 in favor of the orphans, and the group was soaked and covered in mud. They exchanged high-fives and laughs as they reconvened under a tree for a group photo. Days later and hundreds of miles north, MEMO visited SOS Children’s Village near the city of Hue, a private orphanage founded by an Austrian philanthropist. The group had never been here before but, on the field, that didn’t seem to slow anyone down. A flood of children migrated from the front of the village to a large, grassy field in the middle of the complex. Net-less metal goals stood facing each other some 50 yards away, waiting for play. This was a proper soccer field. The SOS Village orphans took to one side of the field and the MEMO students the other. Kids connected passes and made runs up-field. When someone called a hand ball, three boys instinctively formed a wall to defend the indirect penalty kick. These kids didn’t just play pick-up games—the orphans were ranked third in the nation in their league. Another 6-0 loss under their belt, the college students still left the field with smiles and high-fives. 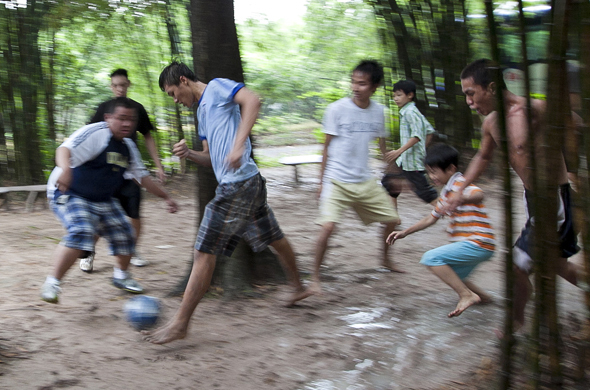 Soccer is the one constant between these two disparate orphanages. SOS Village often turns out educated members of society, while Thiên Bình’s orphans tend to stay at the bottom. 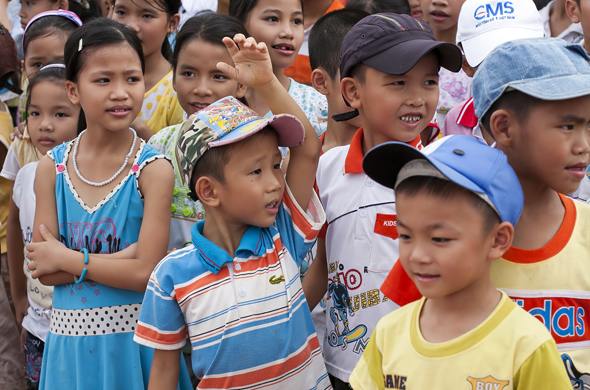 Even though appearances suggest it is more well off than Thiên Bình, SOS Children’s Villages International still serves some of Vietnam’s poorest in Quang Bình province. Each child is sponsored for about $30 a month, and with that money they go to school outside the village and reintegrate more easily with society, caretaker Hien Nguyen said. Many of the orphans even earn scholarships to attend universities. The kids live in family-style dwellings named after flowers. In the “Forget-Me-Not” House, Nguyen looks after 10 children and helps tend their own fruit and vegetable garden. 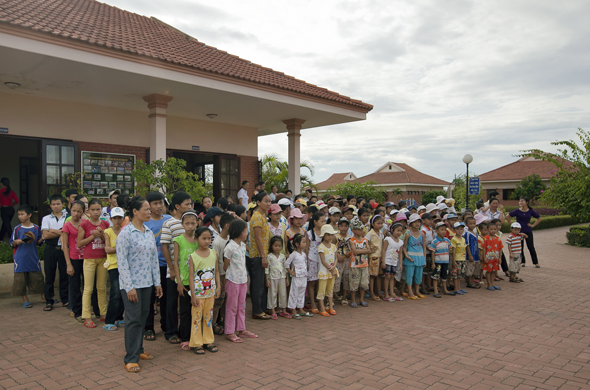 Thiên Bình orphanage is not so fortunate, despite getting some external assistance from groups such as MEMO. Managed by a group of nuns, the orphanage houses about 90 children, in addition to the elderly and people with mental disabilities. They live in a meandering complex of concrete buildings, which do little to protect from the humidity. The orphans’ rooms are musty and require mosquito nets around the cots. Many of the kids go on to vocational schools or end up working odd jobs that require little education. “It’s an imperfect system in a sense that if you’re born in a bad circumstance, you’re kind of stuck,” said Long-Co Nguyen, co-founder of MEMO and UC San Francisco medical student. 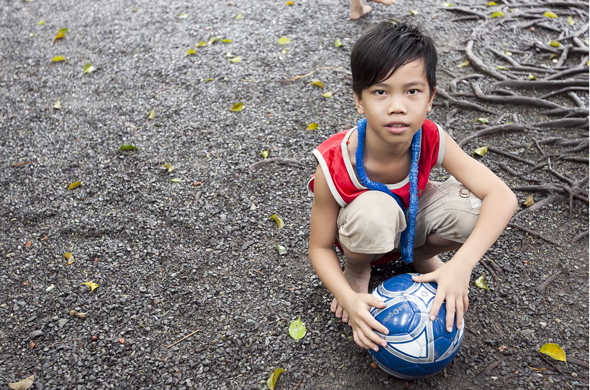 Barefoot and muddied, Lanh and other the orphan soccer stars of Thiên Bình gravitated toward Tuan Nguyen, flanking him as he walked back to the bus. They asked him questions about his life in America and were perhaps most interested in how he got to Vietnam. “Do you take the plane to go there? How far is the flight (to America)? Do you see us from up there? Do we look like ants from up there?” the orphans asked. Nguyen patiently responded, lagging behind the others who had filed back onto the bus. Up until the moment he stepped aboard, the children followed him. Even as Nguyen sat down, he reached out through the window to shake their hands. 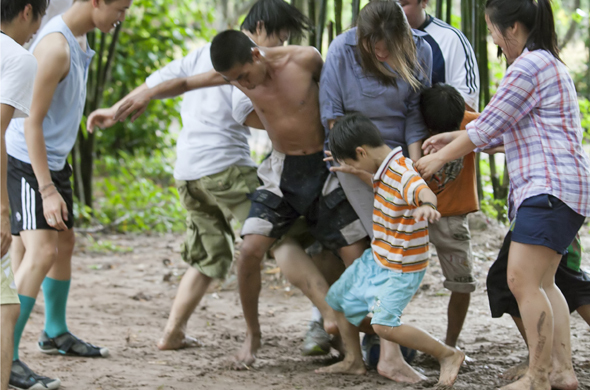 Several orphans, Lanh included, ran after the bus as it drove down the muddy path. 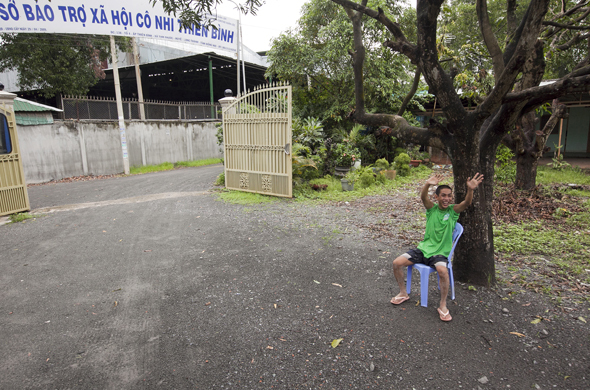 Lanh swung his arms in a wave, yelling goodbyes from a plastic chair parked next to the exit as the bus turned the corner and drove out of sight.